Prepaid is becoming the most competitive category in wireless. Tello Mobile set the trend, with its flexible approach to custom plans and massive price drops. This spring, Tello Mobile announces new unbeatable prices that will satisfy every money savvy need. So get ready for MVNO phone plans that get up to 35% drop in cost! For instance, if you want a plan including unlimited minutes & text plus 1GB of data, you can have it now at only $14/mo., instead of $19. If you need more data, you can choose 2GB instead of 1GB to the same combo and you’ll end up paying only $19 for what used to be $25/month. The unbeatable prices are available for both newcomers and existing customers. If you join Tello Mobile you will benefit from the cut prices upon signing up. If you already enrolled in Tello, the extra benefits take effect immediately and prices will drop in your next billing. At Tello, you are free to choose whatever goes better with your needs! You can select the amount of minutes & data you want. Unlimited texts are included in every plan, free of charge. Phone plans start as low as $5/mo. up to $39/mo. and now you can even choose a 4GB data plan option. You can upgrade, downgrade or renew the cell phone plans, for no charge at all. 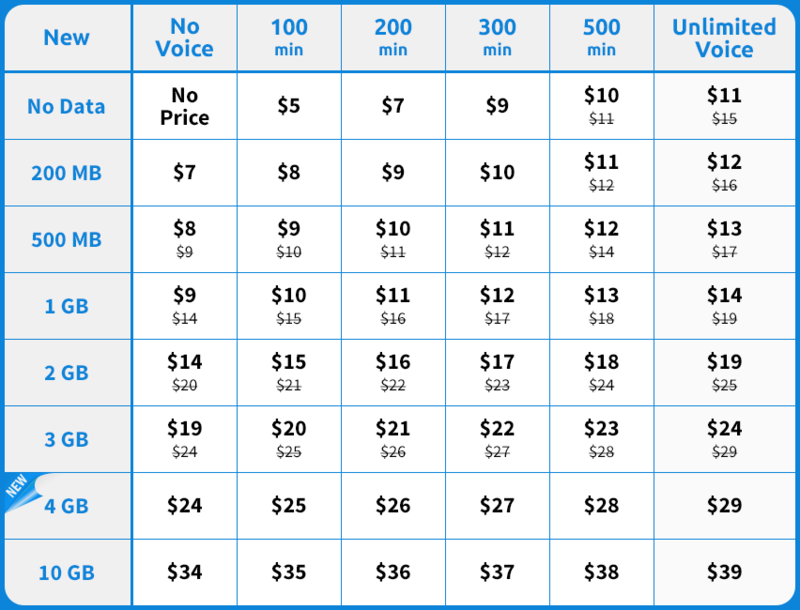 Besides these unbeatable prices, the “no fees whatsoever” policy, the outstanding 24/7 customer service & free calls to Canada, Mexico & China included in any plan, make Tello stand out from other MVNOs. And let’s not forget other great freebies like tethering, unlimited text or voicemail. Tello is also the only wireless carrier rated as ‘Excellent’, as a result of more than 1400 reviews from its customers on Trustpilot, a review website getting roughly 500,000 genuine testimonials about thousands of businesses each month.